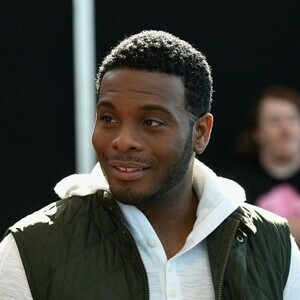 Kel Mitchell net worth: Kel Mitchell is an American actor, comedian, rapper, screenwriter, producer, parodist, dancer and musician, who has a net worth of $2 million. Kel Mitchell first became famous as a regular cast member of the Nickelodeon sketch comedy series All That, which aired from 1994–1999. He is also well-known for his portrayal of Kel Kimble on the Nickelodeon sitcom Kenan & Kel, which lasted from 1996–2000 and his role as Ed in the 1997 major motion picture Good Burger. Kel was born on August 25, 1978 in Chicago, Illinois. Throughout the 1990s, he frequently collaborated with fellow comedian and co-star Kenan Thompson. The duo also appeared in an episode of Sister, Sister with Tia and Tamera Mowry, and an episode of the Steve Harvey show. Mitchell’s character in Kenan & Kel made him famous for his antics and persona. Mitchell also has two sisters named Keyana and Kyra. Mitchell is a Christian who was married to Tyisha Hampton for six years, the couple divorced in 2005. Kel and Tyisha have two children, a daughter named Allure and a son named Lyric. Kel is the voice of a mild-mannered and playful dog named T-Bone in Clifford the Big Red Dog which is a children’s cartoon series. He appeared in Kanye West’s 2004 music video “All Falls Down” where he played a luggage collecting valet. He played Manny Sellers in the sitcom One on One in 2005, and he also starred in 2007 BET’s new series Take the Cake. His writing and producing debut came in 2008 in the film “Chicago Pulaski Jones” he also played the lead role. Also in 2008, Mitchell appeared Affairs and Laundromat which were two Detroit-based stage productions. Mitchell was a part of G4’s Attack of the Show! playing various characters. He also has a recurring role on the PBS Kids show Curious George.